Erdstrom showed off why she has "Dancing Scimitar" in her name. Not that it did any good against Sebas. 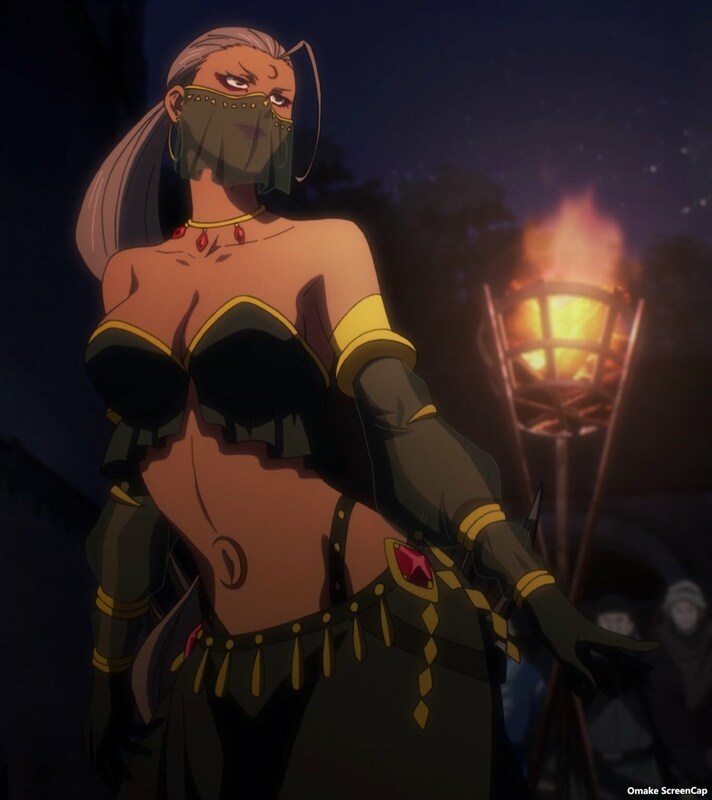 Shaltear wasn't allowed to join the fun because Demiurgus worried about her blood frenzy. She understood, but wasn't happy about it. Erdstrom and the other elite assassins were pretty smug before Sebas one-shotted each of them in the head. Hilmas woke up to a disturbing stillness in her mansion. Then she got dragged out by the hair. A misunderstanding got two factions battling each other instead of the Eight Fingers. 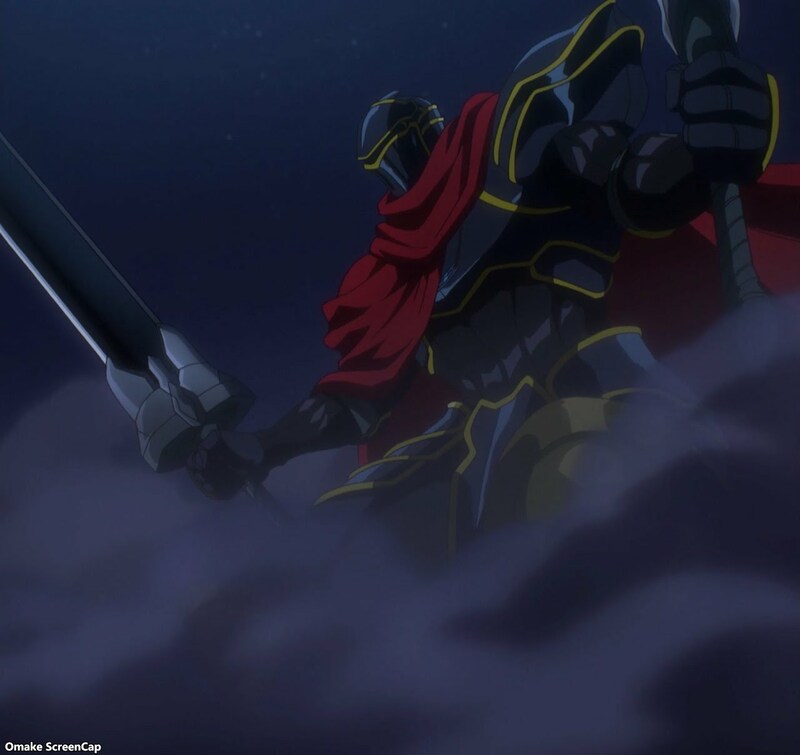 Momon, the alter ego of Ainz Himself, dropped in to further confuse things before the season finale.